Palestinian Authority Chairman Mahmoud Abbas threw cold water on President Barack Obama’s election victory, answering the president with a direct “no” after Obama told him his administration is opposed to the PA’s unilateral move for recognition by the United Nations General Assembly. Abbas’ blunt “no” underscored the new Middle East reality, where the PA chief feels he can snub the United States and bank on international opposition to the State of Israel’s position for defensible borders, said analysts. "There was a long telephone conversation between president Mahmud Abbas and Barack Obama," the Palestinian leader's spokesman Nabil Abu Rudeina told AFP. "Obama expressed the opposition of the United States to the decision to go to the UN General Assembly." Abbas, who immediately launched a diplomatic war against Israel after taking over for Yasser Arafat following his death, turned Israel into the villain. “Abbas cited the reasons and motives for the Palestinian decision to seek non-member statehood as continued Israeli settlement activity and Israeli aggression against citizens and property," Abu Rudeina said. Abbas has stated that winning Non-Member Observer status from the United Nations, based on the PA’s own territorial and political demands, will pave the wavy for “negotiations,” meaning Israel’s acceptance of his terms. 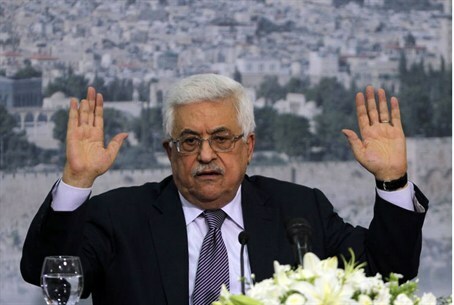 Abbas’ “no” reflects a clear and single-minded path he has carefully paved since he took over from Arafat, wearing a suit and tie inside of donning Arafat’s kefiyah and pistol, and slowing whittling away at previously accepted commitments through semantics or political twists and turns. He has publicly condemned terror when talking to English-speaking leaders while officiating at PA ceremonies praising suicide bombers. Having gained Obama’s support that the term “illegal settlements” means all places in Judea, Samaria and areas of Jerusalem where Jews ive and which are claimed by the Palestinian Authority, he has been able to argue logically that if that is the case, Israel has no right to build in those areas and therefore must commit to a withdrawal before sitting down for direct talks.